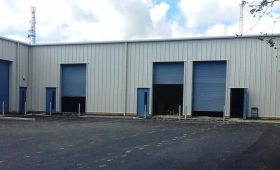 Home » Blog » What’s the difference between hot rolled & cold rolled steel buildings? 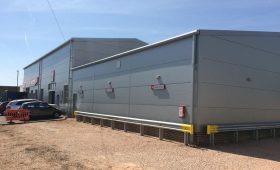 Steel is rapidly becoming the most widely used material for commercial and industrial construction but when are hot rolled steel buildings used and what are the advantages of using cold rolled steel? Steel is manufactured using two different methods – hot rolling and cold rolling. Hot rolling is carried out at a temperature of around 1,000 degrees Centigrade using a process which prevents the steel from hardening whilst it is being worked. The exact finished tolerence of hot rolled steel will alter as it cools down to room temperature. Cold rolling is carried out at room temperature, which means no cooling is necessary, so the tolerance of the steel does not alter and it will not break as easily as hot rolled steel. Although developed during the First World War, cold rolled steel has only been used extensively for construction over the past 20 years as its true versatility has been explored. So, when is hot rolled steel used & when is cold rolled steel used? 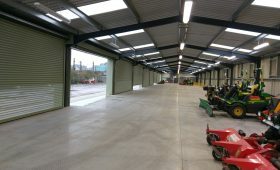 The simple answer is that hot rolled steel tends to be used for larger span buildings, particularly where a building is used to store bulk material or where gantry cranes or other heavy equipment need to be attached to the building’s framework as hot rolled steel sections tend to be thicker and more robust than cold rolled steel. 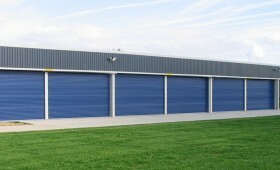 Hot rolled steel has been used for the construction of portal frame steel buildings. Cold rolled steel offers a high strength to weight ratio and is lightweight and easy to handle, making it perfect for use in modern construction. 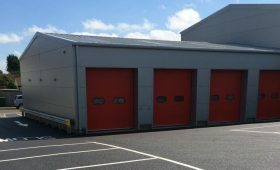 Cold rolled steel is particularly well suited for use in prefabricated buildings with spans of up to 22 metres with a maximum eaves height of 6.5 metres. 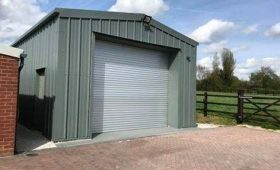 Foundations for cold rolled steel buildings also tend to be more shallow and cost effective than for hot rolled steel buildings. 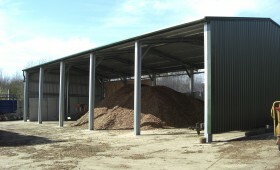 Miracle Span supplies and erects a range of hot rolled and cold rolled steel buildings throughout the UK. 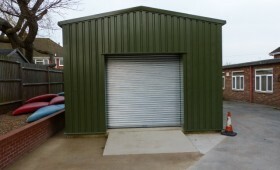 Call us on 01507 358 974 or email for expert advice on the best building solution for your project.